This paper presents an experience in developing professional ethics by an approach that integrates knowledge, teaching methodologies and assessment coherently. 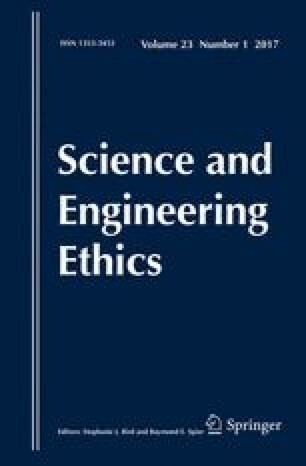 It has been implemented for students in both the Software Engineering and Computer Engineering degree programs of the Technical University of Madrid, in which professional ethics is studied as a part of a required course. Our contribution of this paper is a model for formative assessment that clarifies the learning goals, enhances the results, simplifies the scoring and can be replicated in other contexts. A quasi-experimental study that involves many of the students of the required course has been developed. To test the effectiveness of the teaching process, the analysis of ethical dilemmas and the use of deontological codes have been integrated, and a scoring rubric has been designed. Currently, this model is also being used to develop skills related to social responsibility and sustainability for undergraduate and postgraduate students of diverse academic context. This research was conducted within the National Program of Projects Fundamental Research under the Sixth National Program for Scientific Research, Development and Technological Innovation (Reference No. EDU2012-31080). It was funded by the Ministry of Science and Innovation of Spain. We thank also the Educational Innovations Projects of the UPM. They had supported and funded since 2012 several experiences for developing competences of ethical, social and environmental responsibility for students of IT engineering degrees. In addition, the first author would like to acknowledge María Jesús Sánchez Naranjo for her comments on previous drafts of this paper. In the second semester, we explained more explicitly what the students had to do, especially in their analysis (2) and decision-making (3). Identify articles from professional ethical codes that may be appropriate for the assessment of the behavior of the practitioner in that case. Justify the selection, using, at least, the ACM Code. Propose the decision that a good practitioner should make and justify it. Analyze the situation taking into account every important aspect in making a decision. Select articles of ethical codes that are related to the situation and state why. Also, identify values, ethical and deontological principles that can guide the decision. Analyze the situation from different viewpoints or perspectives. Identify principles and ethical values and some articles from the ethical codes to support it. Assess the consequences and potential risks of it. Explain why it is preferable to other options. ACM-Association for Computing Machinery. (2013). Computer science curricula 2013. Curriculum guidelines for undergraduate degree programs in computer science. Retrieved from http://www.acm.org/education/CS2013-final-report.pdf. Accessed July 30, 2015. ACM-Association for Computing Machinery. (2015). Code of ethics and professional conduct. Retrieved from http://www.acm.org/about/code-of-ethics. Accessed July 30, 2015. BOE-Boletín Oficial del Estado. (2009). Recomendaciones para la propuesta por las universidades de memorias de solicitud de títulos oficiales en los ámbitos de la ingeniería informática, ingeniería técnica informática e ingeniería química. Secretaría General de Universidades. Acuerdo de 8 de junio de 2009. Retrieved from http://www.boe.es/diario_boe/txt.php?id=BOE-A-2009-12977. Accessed July 30, 2015. EHEA-European Higher Education Area. (2005). The framework of qualifications for the European Higher Education Area. Retrieved from http://www.ehea.info/Uploads/Documents/QF-EHEA-May2005.pdf. Accessed July 30, 2015. ENAEE-European Network for Accreditation of Engineering Education. (2015). EUR-ACE framework standards and guidelines. Retrieved from http://www.enaee.eu/eur-ace-system/eur-ace-framework-standards. Accessed July 30, 2015. IEEE-Institute of Electrical and Electronics Engineers. (2015). Code of ethics. Retrieved from http://www.ieee.org/about/corporate/governance/p7-8.html. Accessed July 30, 2015. Minano, R., & Fernández Aller, C. (2015). Guía para trabajar la competencia de responsabilidad social y ambiental. Retrieved from http://oa.upm.es/35542/. Accessed July 30, 2015. UH Manoa-General Education. (2008). Contemporary ethical issues focus. Rubric for general education program assessment. Retrieved from http://manoa.hawaii.edu/assessment/resources/rubrics/ETH_rubric_2008-04-04.doc. Accessed July 30, 2015. UPM-Universidad Politécnica de Madrid-Innovación Educativa. (2015) Competencias genéricas. Recursos de apoyo al profesorado. http://innovacioneducativa.upm.es/competencias-genericas/competencias. Accessed July 30, 2015.